John Koller admits that PS Vita's message of "console-like games on portables" is essentially the same as PSP's, but argues that there was a significant problem with how developers approached that idea before. "The issue that happened with PSP is we got overrun with ports," he explains. "It became very difficult for us to define what made PSP unique. The content development became a bit unstructured or decentralized, in that we got a lot of content that was on PlayStation 2 and got thrown over to the handheld." Koller believes Sony learned its lesson with that problem on PSP and is actively taking steps to avoid repeating that mistake on PS Vita. He says portable content "isn't something consumers play because they've left the living room. It's something that [needs to be] unique, and defines the Vita experience. "A lot of PS Vita's early catalog has so far been made up of console ports -- which may have contributed to the troubles Sony has faced with building momentum for the system so far -- but now the company is strongly recommending against and guiding publishers away from ports. Koller points to a couple upcoming PS Vita exclusives that are unique interpretations of popular console franchises, and says that Sony tells publishers to "Follow what Ubisoft is doing with Assassin's Creed. Follow what Activision is doing with Call of Duty." 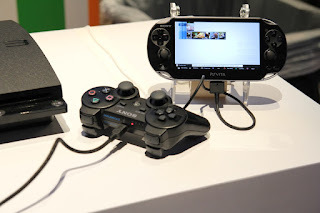 With that approach in mind, Koller says, "The messaging is similar [between PSP and PS Vita], but I think the output is going to be quite different." Let us know what you think of PS Vita ports in the comments below!